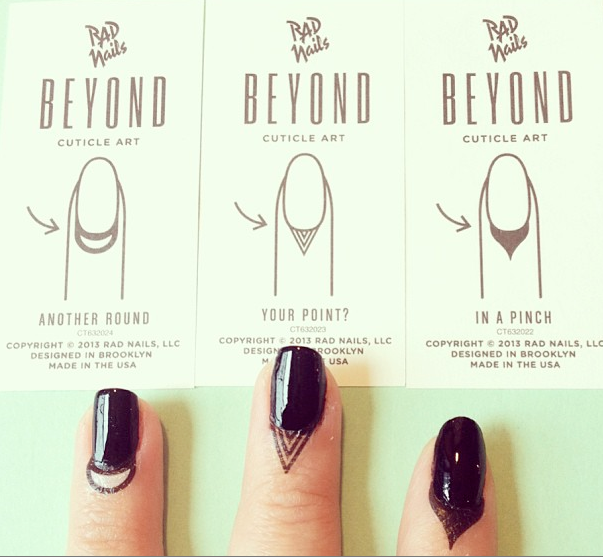 Cuticle Tattoos. 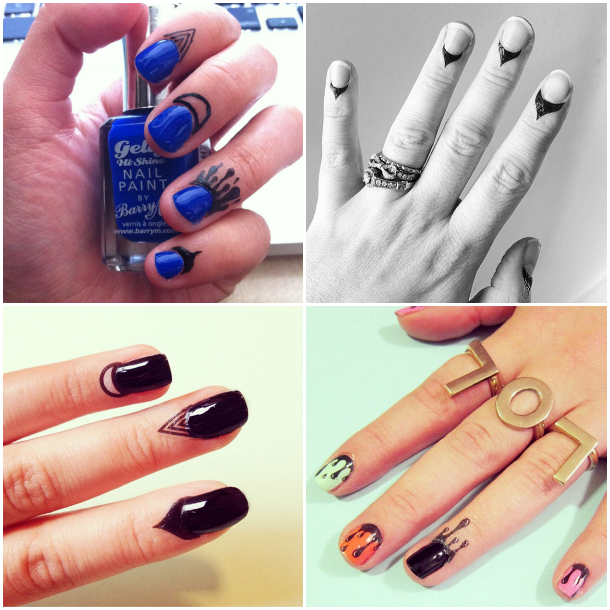 Because Why Should Nails Get All the Glory? Talk about always being a bridesmaid. Your dejected, Old Maid cuticles never receive any of the fanfare their more glamorous neighbors do, they merely get pushed around and cut away into oblivion. But, look out. Cuticles have had enough and aren't going to take it anymore. Yes ladies, there's a revolution afoot. One that's looking to even the playing field and bring second-class cuticles the respect they've craved since all this nail art hoopla began. 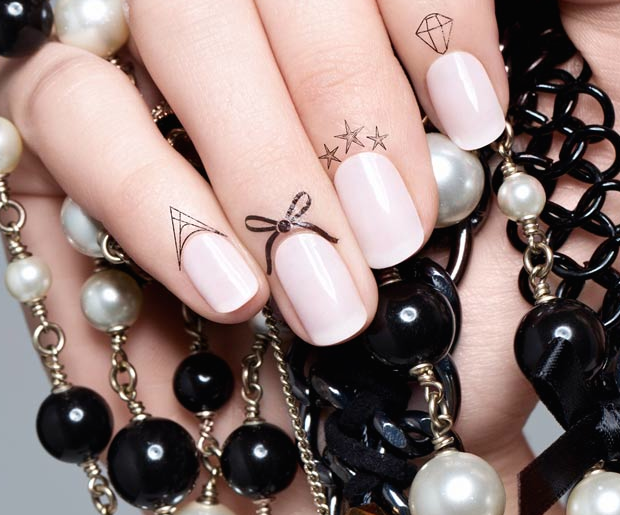 Cuticle tattoos have been simmering below the surface with manicure maniacs since late 2013 but now, they are poised to become a mainstream trend and give nail art a run for its money. Launching next month in the U.S. (they've been in the U.K. for a little while), Ciaté Cuticle Tattoos are a simple way to jazz up your fingertips or complement a basic manicure. The tattoos come in a variety of designs and are just as simple to apply as those old-fashioned nail decals were. Simply select, cut to size, peel away the plastic backing, put into place, dampen, press, pull away and ooh and ahh over your newly cute cuticles. 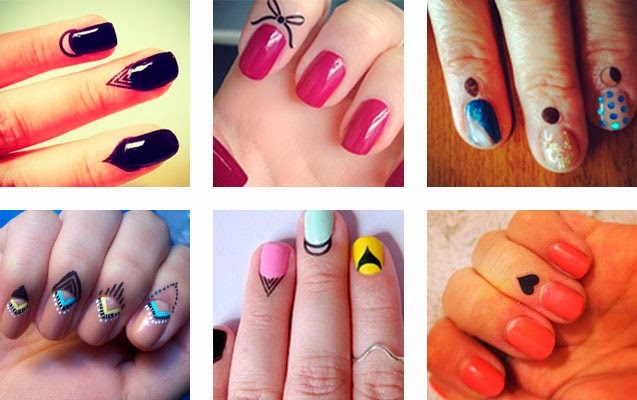 You have to take care of your cuticles to make sure these tattoos look good on them. 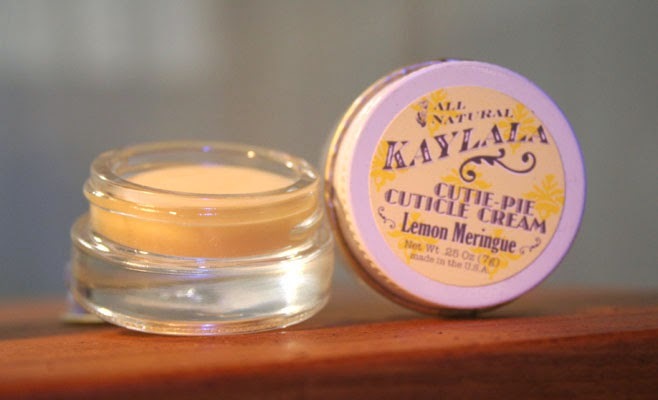 apply cuticle cream for keeping them soft and manageable. You can also give your nails a little massage before sleeping by applying a good quality nail and hand cream. If your cuticles are dark, massage them with lemon wefts, leave it for 10 minutes and wash it off with lukewarm water. Now, massage them with lukewarm olive oil and leave it overnight. Take care of your nails and cuticles.